Northamptonshire's police and crime commissioner intends to raise an extra £3.97 million for the force's budget via a five per cent increase in council tax. Stephen Mold wants the 2018/19 force budget increased to £118.7m - up from £115.3m during the last financial year - to provide the chief constable with funding to tackle in areas such as domestic and sexual abuse, cyber-crime and early intervention and preventative work. The rise in precept – which will equate to £1 per month for a Band D property – has been supported by over 60 per cent of respondents to the PCC’s Public Perceptions Survey, which seeks to understand the views of residents around the performance of Northamptonshire Police. 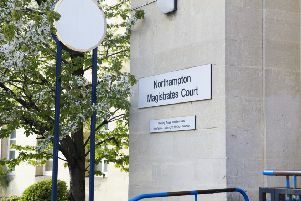 Police and crime commissioner, Stephen Mold, said: “Having spoken to people in the county personally and having heard from over a thousand residents as part of our Public Perceptions Survey, I know that people in Northamptonshire are happy to contribute to help create a first-class policing service and a safer county. “An extra £1 per month for those in a Band D property will create an extra £3.97million for the policing budget, which will allow Northamptonshire Police extra resources for areas such as proactive intelligence and domestic and sexual abuse investigations. I will also set aside money to tackle rural crime, invest in road safety and prevent crime at its root through early intervention initiatives. “Policing resources have been cut, cut and cut again in recent times but it is vital that this isn’t allowed to continue, for the safety of our people and our communities. I have been heartened by people’s attitudes to understanding the value behind policing and being prepared to contribute more to ensure we start to reverse this trend. If approved by the Police and Crime Panel, the five per cent increase would generate a base budget for the PCC of £127.1m. From that figure, £118.7m will go to the chief constable with the remaining £8.4m going towards paying for statutory services like victim and witness services, as well as the cost of running the PCC.